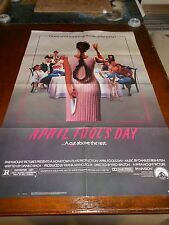 Original movie posters, lobby cards, stills, heralds, programs, autographs, biographies of actors and directors, movie books & more! CANDYMAN(1992)HORROR FILM 1SHEET ROLLED Original! 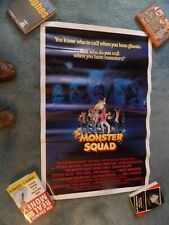 MONSTER SQUAD(1987)TOMMY NOONAN ORIGINAL 27"BY41" ROLLED UNUSED!!! 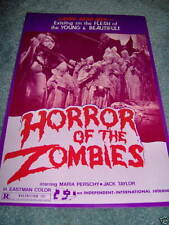 LOT OF 12 DIFFERENT HORROR PRESSBOOKS NEAR MINT NICE!!! WINGS(1928)CLARA BOW ORIGINAL 4 PAGE JUMBO HERALD 10"BY15" VERY RARE! BUTTERFLIES ARE FREE(1972)GOLDIE HAWN ORIGINAL ONE SHEET POSTER 27"BY41"
NASHVILLE(1975)HENRY GIBSON ORIGINAL SET OF 8 LOBBY CARDS MINT! MOON OVER PARADOR LOT OF 6 (1988) RICHARD DREYFUSS 1SHEET ROLLED Original! 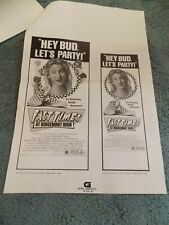 TRADING PLACES (1983) DAN AYKROYD & JAMIE LEE CURTIS ORIGINAL 1/2 SHEET 22"by28"